We no longer use a google sheet to find your converter. Look under the compatible devices tab for your radio. These cables are meant tobe used with our RWH (Radio Wiring Harneses) and SRWH (Smart Radio Wiring Harneses). The convert the ISO end that is meant to connect into Blaupunkt radios into a connection compatible with new radio. If you have a new radio and do not see it under compatible devices send us an email. 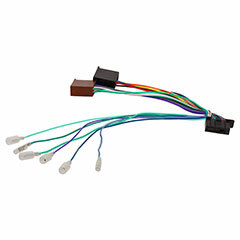 Just becasue your car has the same connectors does not mean that it is compatible without a RWH or SRWH. Connecting these harneses to anything except our RWH or SRWH can damage the electronics inside of your new radio. -We are no longer using the google document for compatiability. -If you have a band new radio and we do not show a converter for it please send us an email. -Use the chart below to figure out your PNP converter. At first I was sad that the model radio I bought wasnâ€™t listed in the drop down menu. I thought for sure I was going to have to spend an hour cutting and splicing wires from my head unitâ€™s radio harness into the Enfig car harness I already bought. Sure enough after contacting Enfig they told me what PnP harness I needed. I bought it straight away and this has easily been the most straight forward car stereo install I have ever done. Donâ€™t hesitate. Just buy everything they make for your car and radio. They do all the hard work for you. With the right tools a radio install should only take 15 minutes with their products. 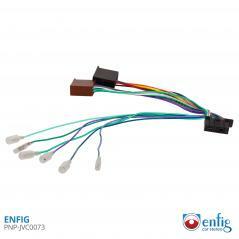 I highly recommend Enfig for your Audi stereo needs.